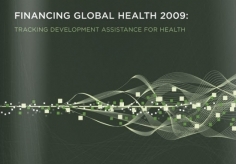 Financing Global Health 2011: Continued Growth as MDG Deadline Approaches offers a comprehensive view of trends in public and private financing of health assistance with preliminary estimates for health financing in the most recent years. 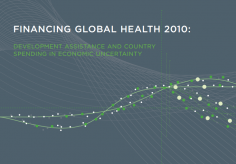 It shows that development assistance for health (DAH) continues to rise, albeit at a slower rate than before the recession. 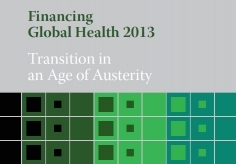 This is the third annual publication on global health financing published by IHME. The research also demonstrates continued strong growth in country expenditure on health, as well as the ongoing effects of DAH on spending for health by governments. 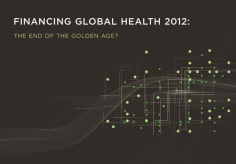 The findings were published simultaneously in Health Affairs on December 14, 2011. 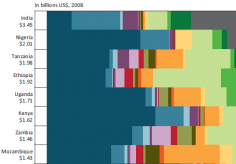 With the deadline for the Millennium Development Goals approaching in 2015, policymakers will need to carefully assess the trends in resource flows to decide where and how spending can have the maximum impact on population health. To update our estimates from previous years, we generated preliminary estimates for 2010 and 2011 from models and preliminary financial statements obtained directly from channels of assistance. We improved our estimates of DAH flowing through US-based non-governmental organizations by collecting additional health expenditure data. For our analysis of DAH for different health issues, we improved the accuracy of our estimates by incorporating more data about projects’ intended purposes from the World Bank. Institute for Health Metrics and Evaluation. 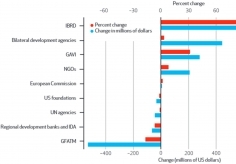 Financing Global Health 2011: Continued Growth as MDG Deadline Approaches. Seattle, WA: IHME, 2011.